Warning 230 volts AC cable tie tag. 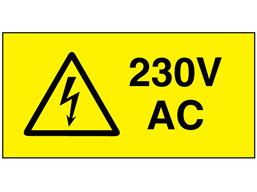 230 volt AC electrical warning label. 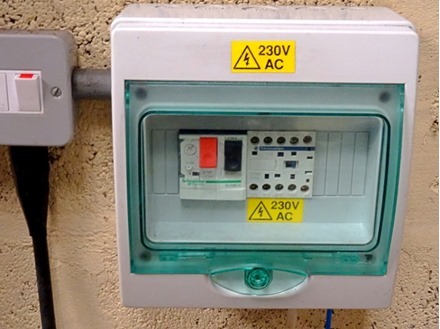 Part of our electrical equipment label range. Size 19mm x 38mm. Self adhesive vinyl. Supplied in packs of 100. Electrical equipment labels. 230 volt AC alternating current warning label. Supplied in packs of 100 labels. These labels comply with the Electricity at Work Regulations 1989. VEL113 Size 19mm x 38mm. Material self adhesive vinyl.